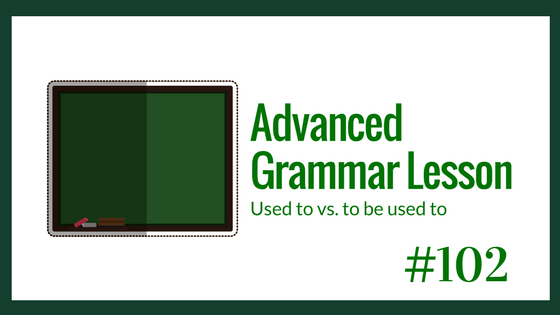 I am going to help correct a very common advanced grammar mistake. There are two different phrases that often get mixed up. One is easy, and one is complex. But even the easy one needs to be explained, and the complex one, well, that one too. The first is about past habits, or something that existed or was true in the past, but doesn’t exist or isn’t true anymore. The second is about a feeling you have about something. I understood that expression used to + infinitive verb is commom in the past action or past state. Differently the expression be/get used to + verb ing is used in past, present or future tense while is acostoming a new situation.